Chef Walter Manzke of République is the winner of LA 2015 Cochon 555 competition. 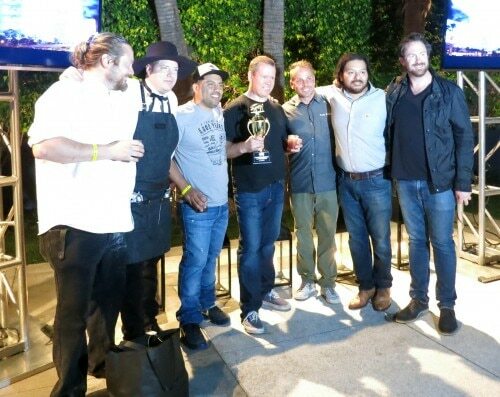 From left to right: Kris Morningstar of Terrine, Steven Fretz of The Church Key, Ricardo Zarate, Toni DiSalvo of CAST, Ray Garcia 2014 Grand Cochon winner, Brady Lowe founder of Cochon 555. 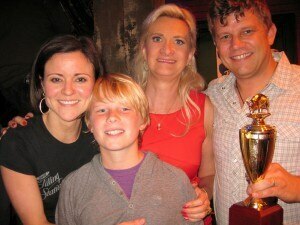 UPDATE, MARCH 29TH: And the winner is chef Walter Manzke of République. Congratulations! But I have to say that all the chefs put lots of time and efforts to create tasty dishes, and served them putting on a show. See all the photos below. There are many cooking competitions, but Cochon 555 is a special one — so much passion! The participating chefs start getting crazy a month before, and the frenzy keeps building as the event gets closer. (The event has gained so much momentum that the winner now includes the title in his bio.) Brady Lowe started this traveling culinary competition and tasting event, which includes five chefs, five pigs and five winemakers, and throughout its seven years of existence more than 11 tons of heritage pork have been served around the country. UPDATE 5/06/12 : The winner is Ben Ford, Ford’s Filling Station in Culver City. See photos of the event in the gallery below. Once again, I enjoyed judging the competition! 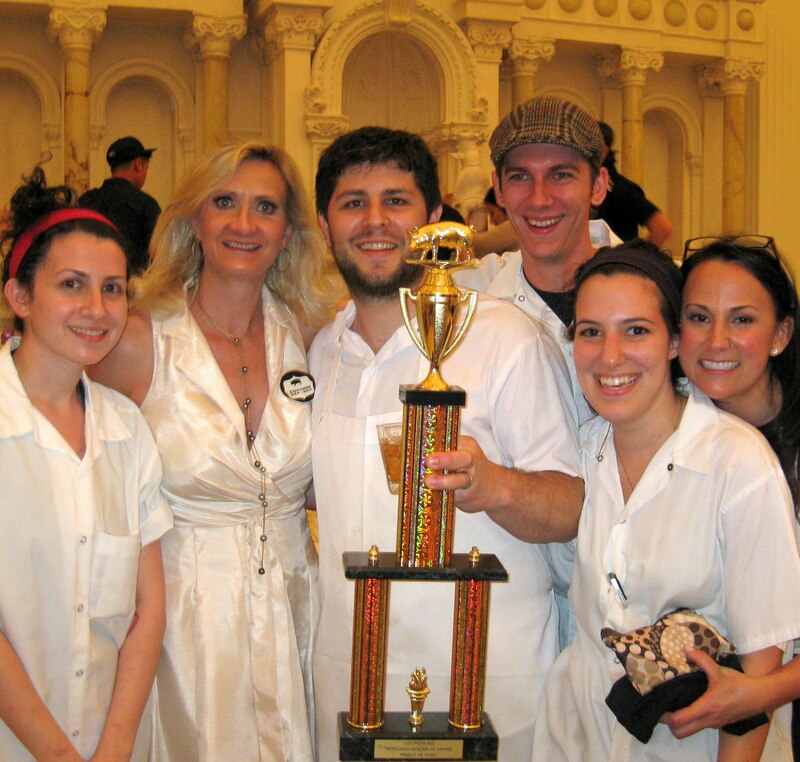 UPDATE 5/01/11 : The winner is Chad Colby (Osteria Mozza). See photos from the event below. This Sunday, May 1, five top LA chefs will each prepare a 175-pound, heritage-breed hog from head to toe for a friendly competition called Cochon 555. 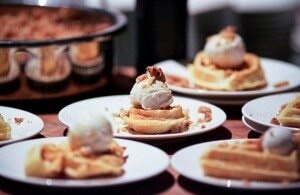 This ten-city touring event is the only culinary competition of its kind in the country, and will help family farms sustain and expand their businesses. Competing in the LA stop will be Octavio Becerra (Palate Food + Wine), Chad Colby (Osteria Mozza), Ben Ford (Ford’s Filling Station), Tim Goodell (Public Kitchen & Bar) and Joshua Whigham (The Bazaar). To support the event and its worthy cause, I will be there with other local judges to determine a winner based on presentation, utilization and overall best flavor.